Kingdom Hearts Character Pack by tigertenaka with credit to Calypso for re-uploading the files for me and bleachmagic for uploading the original pack. Read before reporting! EDIT: Have you tried clicking on the preview picture? It works fine, but this site doesn't generate a preview for it for some reason. I've been told by someone that bleachmagic put this entire pack together himself. I can't get a hold of him because he hasn't been online for a week, so I can't find out who made any of these hacks until I hear back from him since they're no where else on the vault. This is a character pack that used to be on the Vault, but for some reason was removed. Anyone who made any these hacks can contact me and I will either collab or credit them (whichever they prefer) with no issue. A Read Me is also in the download explaining various things about the hacks themselves and any other known issues. 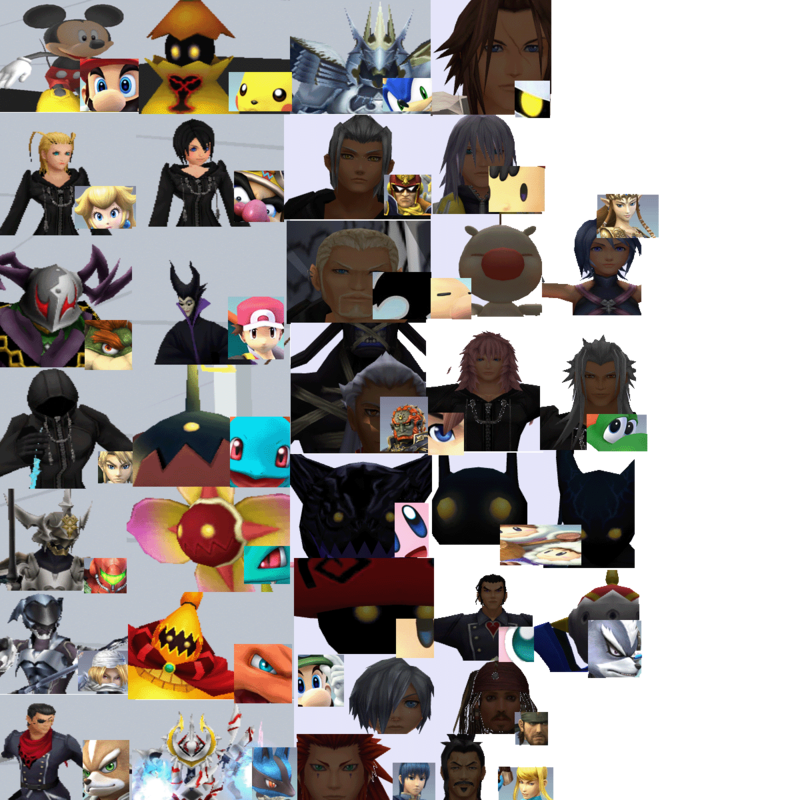 Just a simple texture replacement I did while messing around with KH stuff. READ: This is not meant to be a fully-functional hack, this is ONLY what progress I have made on it. If it doesn't work properly, then you'll have to fix it yourself. Well, this will probably be the last time I get to work on any hacks myself. This is what little progress I've made on Axel, 6 frames of his wait 1 animation. Collab'd bleachmagic for the model and credit to charatchan for the Dual-Wield Link PSA as a base. Here's hoping someone else will pick up where I left off. After a few weeks of work, here's my first PSA! 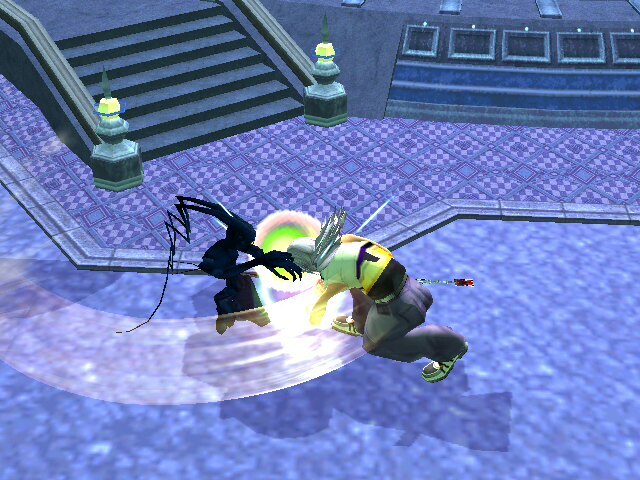 The Heartless over the Ice Climbers are the Shadow and Neoshadow. When I saw bleachmagic's model, I thought that I had to make a moveset for them. This is only version 1, so not everything is changed yet, and animations may look choppy. Hope you enjoy! Edit: With DSX8 and Mewtwo2000 working on Icicle Mountain, Mute City, Brinstar Depths, and PokéFloats, I want to let people know where they should put them. Make sure to add .rel files, too. This doesn't work with Dolphin, because this uses the Stage Expansion code, which doesn't work on the emulator. Also, this is incompatible with the Character Roster Expansion, so no Giga-Bowser, Warioman, or Alloys, etc. DO NOT ADD CODES TO THE GCT IN THE "codes" FOLDER! That gct is to allow the gct in the "pf" folder to have over 8000 lines of code. I used the double GCT method when I uploaded this, which was before I found out about the gameconfig.txt method. If you use that, then be sure to move the GCT in the "pf" folder over to the "codes" folder. 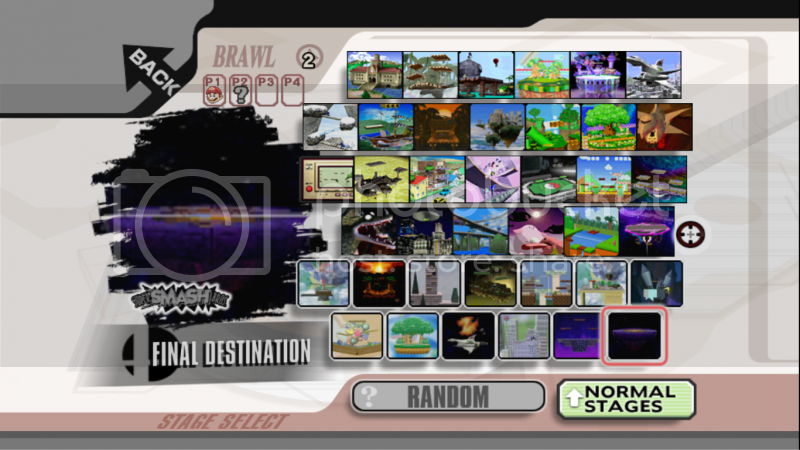 This is an expansion pack for the Melee page so that all Melee stages can have a slot AS THEY ARE UPLOADED, so until then Icicle Mountain, Brinstar Depths, PokÃ©Floats and Mute City will not work. All the stages (even those not on there) have their music set up, so once a stage is uploaded, you need only to place them into the right STGCUSTOM slot. To my knowledge, the hacks included are up to date. 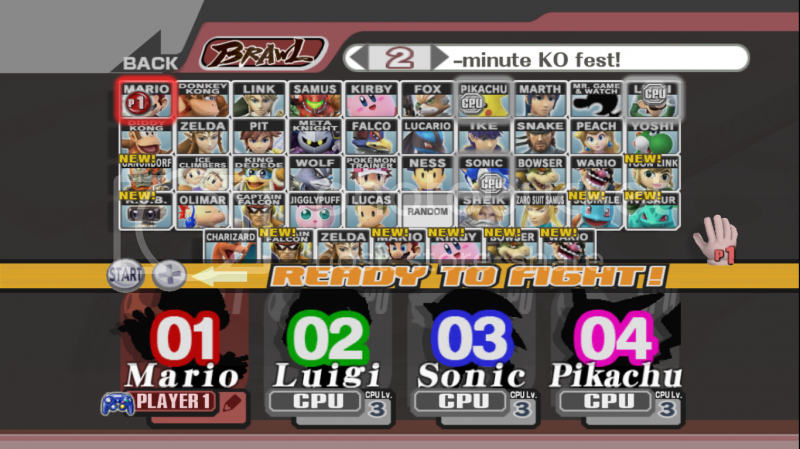 -Melee's and Brawl's Battlefields are switched, so STGBATTLEFIELD=STGCUSTOM0B, and vice versa. -Multi-Man Brawl is now Multi-Man Melee, and the Alloys have been replaced with Wireframes. -Certain Music code edits to accomodate Multi-Man Melee. -Battlefield (Brawl) only plays Brawl Battlefield music. 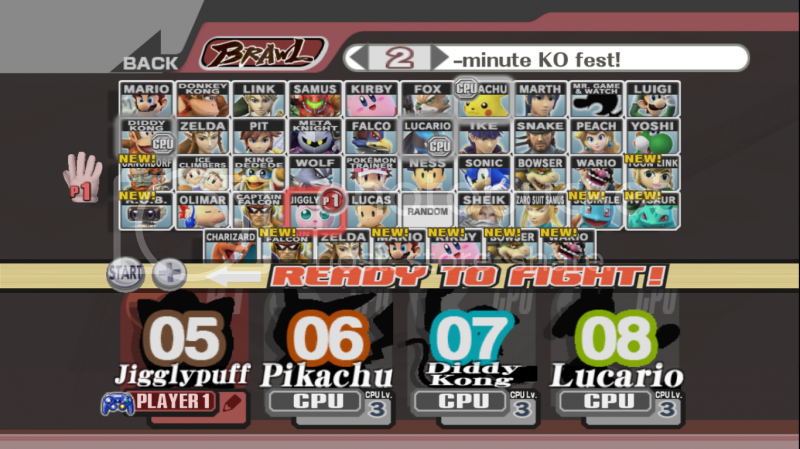 -Pack includes original Melee Battlefield brstm, but Brawl's will still play sometimes. 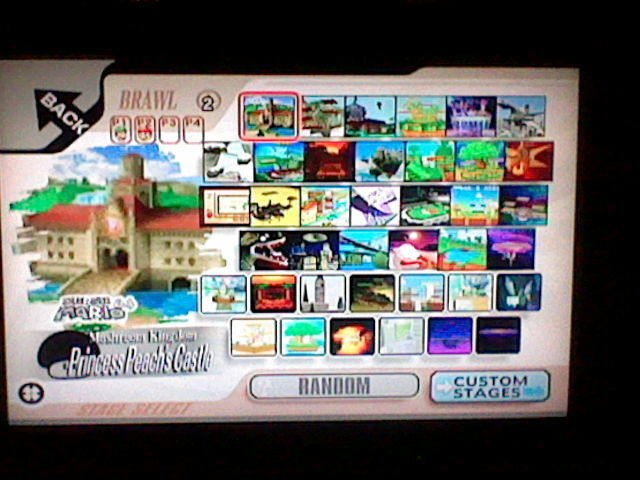 It is listed as "Battlefield (Brawl)"
If you have any stage hacks for Battlefield, they go over STGCUSTOM0B. You'll also have to replace the rel. Other than that, only STGCUSTOM slots and Battlefield have been replaced. For other stages, you can just place them over an existing stage. Most of the music that plays in Brawl stages is still unchanged, so you can replace it as you please, but don't try to mess with My Music, unless you want your Wii to freeze. 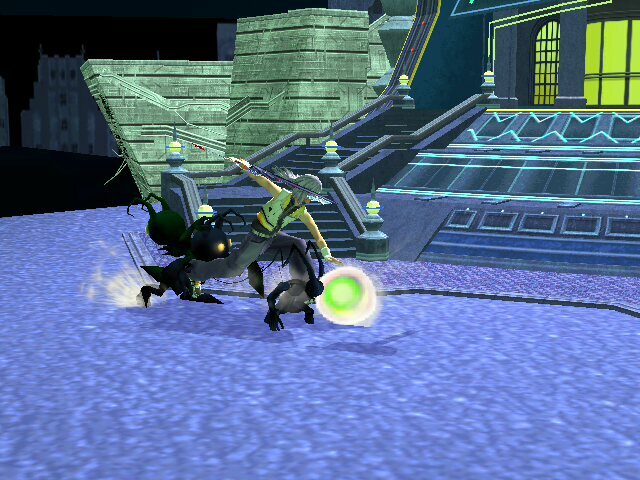 You can use any character hacks you may have already with this, but adding CSP's to the common5.pac may result in a WiiFreeze. The codes DO work! I test the stuff I release before I release it, without using any other hacks, so stop telling me it doesn't work when it does! If it isn't working for you on Gecko, then download the older version. All V2 does is add Multi-Man Melee, and unless you really need it, then get V1. But I know this thing works, because My Wii is turned on right now with the hacks turned on and it works perfectly, Multi-Man Melee and all. 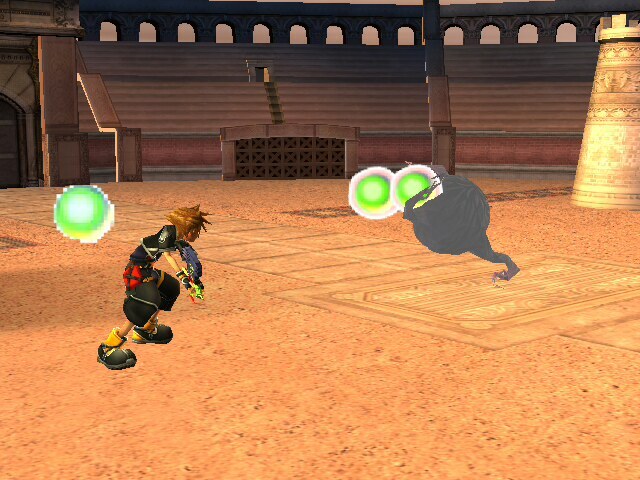 btw, that secret I mentioned earlier, try going to Boss Battles and fight Master Hand. Allav866 Edit: With DSX8 and Mewtwo2000 working on Icicle Mountain, Mute City, Brinstar Depths, and PokéFloats, I want to let people know where they should put them. Mewtwo2000 edit: Added a code.gct file to be used with GCT Fusionizer so you can add the codes related to the expanded roster, and not to be obligated to replace your RSBE01.gct file with the included one. Also included both RSBE01.gct and code.gct files without the currenty empty slots. Also changed some of the icons to fit the real stages in them (my N64 ones only). This is an expansion pack for the Melee page so that all Melee stages can have a slot AS THEY ARE UPLOADED, so until then Icicle Mountain, Brinstar Depths, PokÃ©Floats and Mute City will not work. All the stages (even those not on there) have their music set up, so once a stage is uploaded, you need only to place them into the right STGCUSTOM slot. Fortunately, I've included a guide for placing new stages, as well as updating old ones. To my knowledge, the hacks included are up to date. This doesn't work with Riivolution. This is my first official stage hack, and it's Flat Zone from Melee, without the annoying falling tools! It goes over Final Destination without any REls, but I recommend putting it over Flat Zone 2. Also, this is my first hack that doesn't have any sort of glitch! This is my first texture hack, and it's a little tribute to Azureblade49 on YouTube. Texture made by me, but the eyes were made by someone else. Unfortunately, I forgot the person's name, so if anyone could tell me who it is, that would be great. The only problem with the texture is that when he gets a Smash Ball, part of his face turns white. Other than that, it works pefectly. Enjoy! Page created in 0.386 seconds with 57 queries.